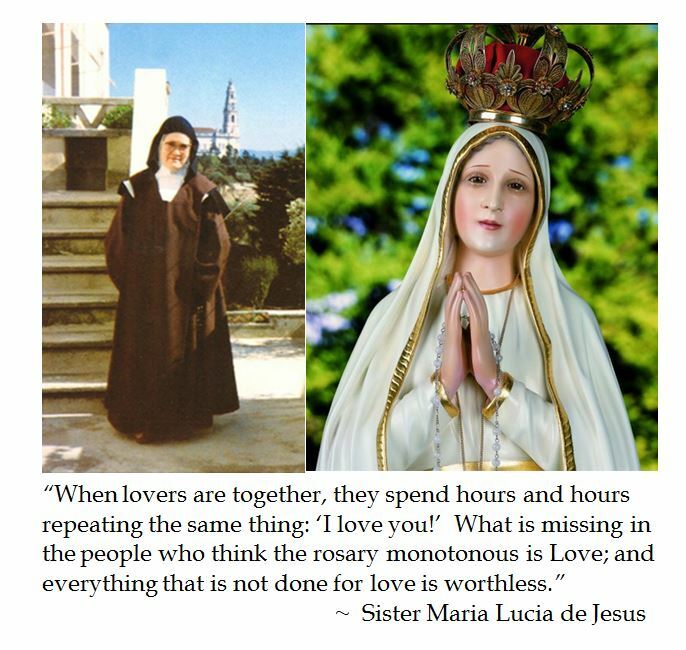 Post Scriptus: One reader of this post repeatedly inveighed "You must be out of your mind" concerning credence to Our Lady of Fatima. 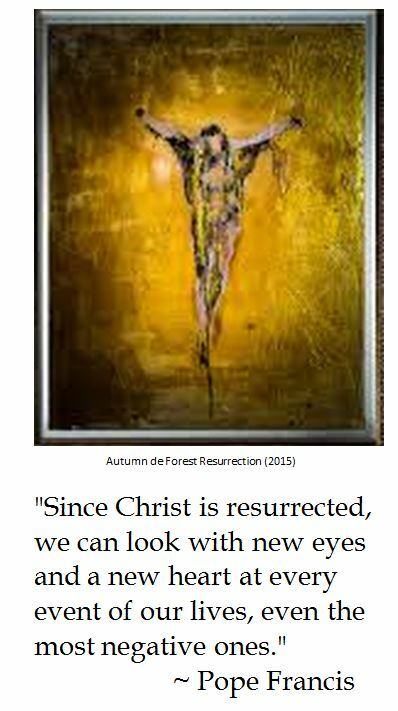 Of course, it was a shrill anti-Catholic screed. Regrettably the writer of the ad hominem comment lacked the testicular fortitude to attach a name or any means to colloquy. 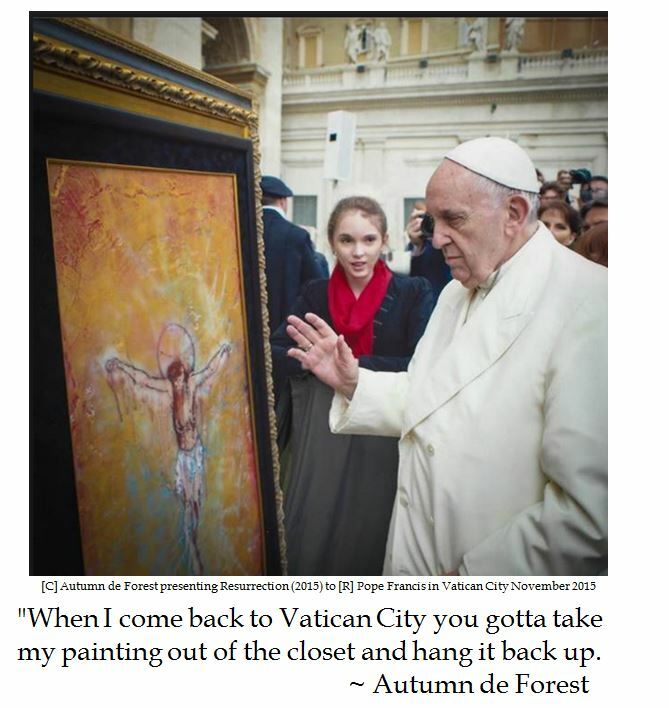 Some profession of faith--not! The poster must have been out of his mind if he was seeking to convince anyone of his conviction. God bless his little heart. 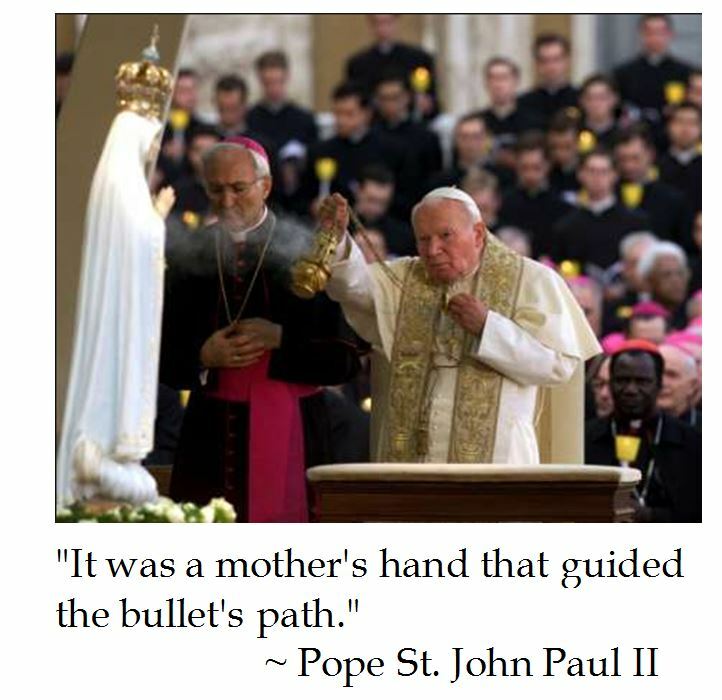 Pope St. John Paul II was so convicted that the Blessed Virgin Marry saved his life as the first apparition of the lady in white was on May 13th 1917 and he was shot on May 13th 1981. 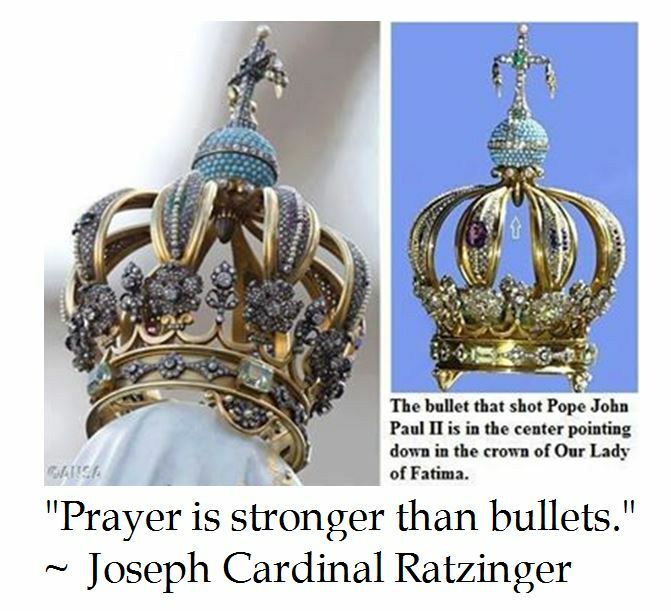 One year after the assassination attempt, JPII gave one of the bullets lodged in his body to be melded into the crown of Our Lady of the Rosary. 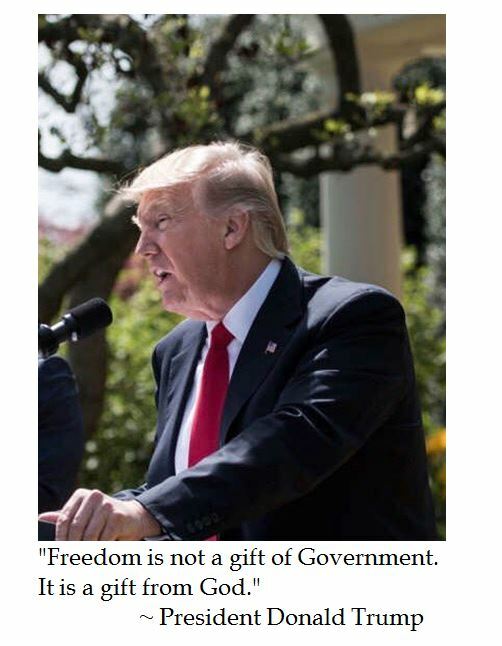 As President Trump commemorated the 2017 National Day of Prayer by signing Executive Orders protecting religious liberty, he noted where this fundamental first freedom is derived.